Recently, I went on a trip to Nova Scotia's South Shore with my friend, LD. We have a tradition of doing an annual trip, and now that we no longer live close to each other it feels like a great excuse for a reunion! We flew into Halifax around lunchtime, picked up our rental car, and hit the road! 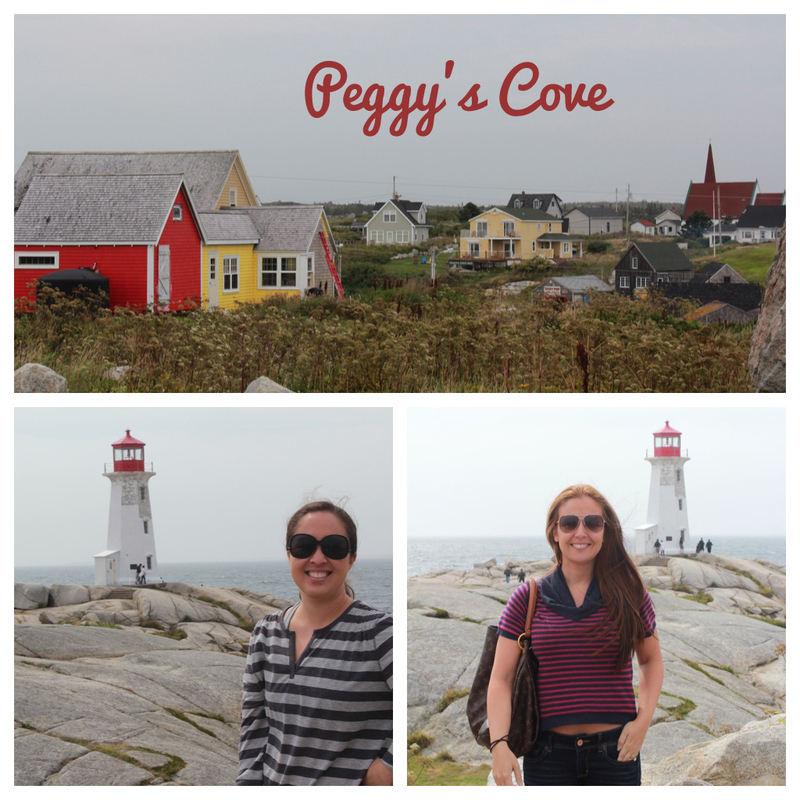 LD booked a lovely B&B in Lunenburg (The Ashlea House) but we decided to stop at picturesque Peggy's Cove on the way. We had a great lunch at The Sou'wester by the lighthouse, including some yummy lobster dip! Lobster was always on the menu this trip. You could even get it at gas stations. After Peggy's Cove, we checked into our gorgeous home away from home. 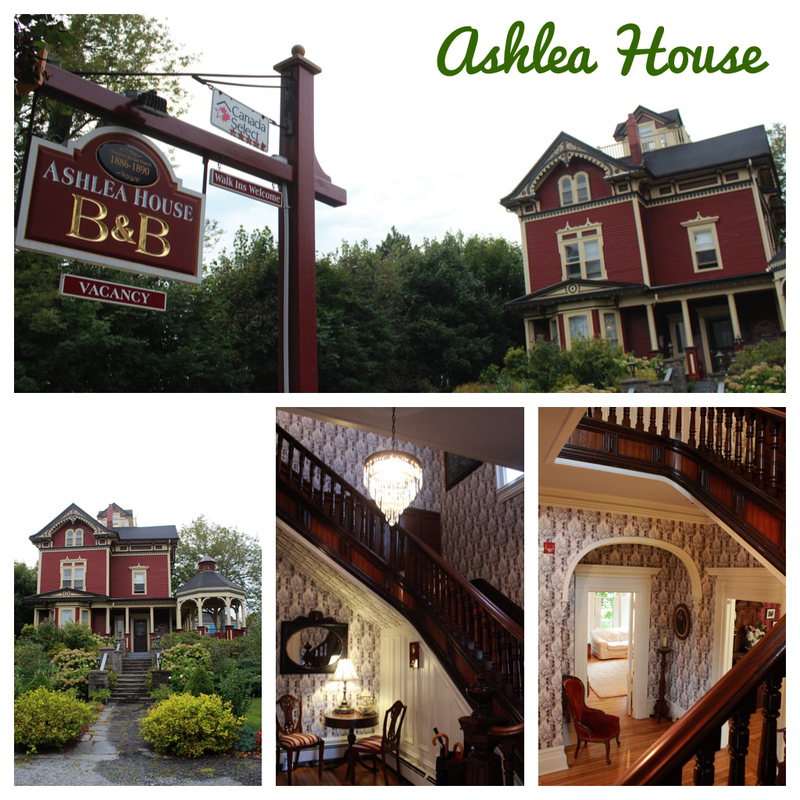 Ashlea House has a rich history (boardinghouse, brothel, you name it!) and the owners are the nicest people. We loved the three-story home, and the daily breakfasts with our fellow travelers were really fun... So much more personality than boring chain hotels! The house had porches, plush living rooms, and even a cupola and 'widow's walk' on top. We also had a friendly mascot to show us around... Schooner the Toller dog! And to top it all off, we had a walking path direct to the waterfront and all of Lunenburg's local restaurants and shops. Our first night, we toasted over a bottle of prosecco at Trattoria della Nonna, one of the nicest spots in town. 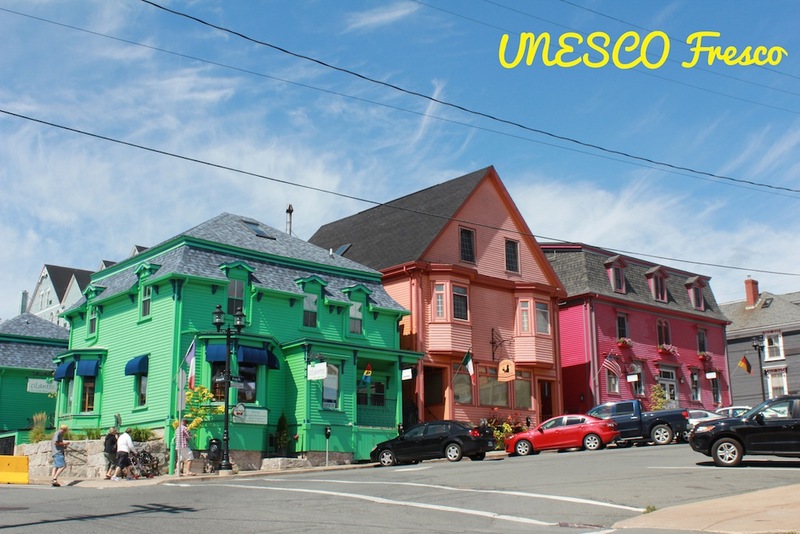 (The orange building is part of the colorful "UNESCO Fresco".) The food was outstanding, and the ambience was great to kick off our first day in Nova Scotia. Trattoria della Nonna is the orange building in the middle. Oh, and there are DIRECT flights from Newark to Halifax!